New York Yankees rookie catcher, Kyle Higashioka during a game between the Toronto Blue Jays and Yankees at the Rogers Centre on July 8. Photo credit: Jonathan Eto. 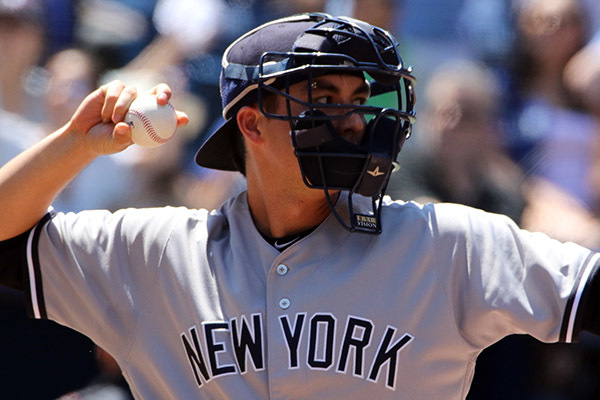 TORONTO — New York Yankee rookie catcher, Kyle Higashioka, gave baseball fans another reason to celebrate over Canada Day and July 4th. Before the fireworks, the yonsei hapa player from Huntington Beach, Calif. played only 14 games for the Yankees last year, and started his career with a disappointing 0-18 at the plate. 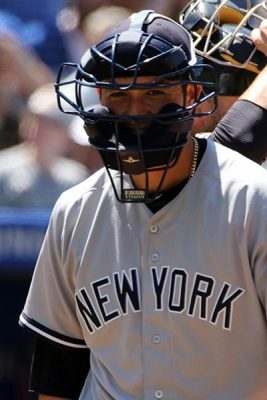 The 28 year old was drafted in 2008 by the Yankees got his first call up this season on June 25, as starting catcher Gary Sanchez was placed on the disabled list. Making his first start June 27, and subbing in June 30 due to injury to backup catcher Austin Romine, Kyle’s struggles at the dish continued. The MLB record for at-bats by a positional player to start a career without a hit is 0-23. So in the fourth inning on Canada Day, Higashioka was facing an MLB record no one wanted to hold as he was 0-22. On the mound for the Boston Red Sox was former Cy Young winner David Price. Down 1-2 in the count, Kyle hit a homer to left field for his first major league hit, just in the nick of time. In his third consecutive start, Higashioka seems to have kicked his bad luck and launched another homerun to left field for his second major league hit. Then on American Independence Day, he became the ninth player since 1920 and only the second Yankee (Alfonso Soriano 1999-2000) to hit three consecutive home runs to start his MLB career. 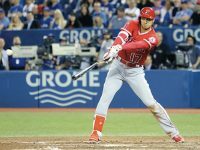 As the Bronx Bombers made their flight to Toronto July 6 to 8, Higashioka was on the brink of a different major league record, to tie the record of four consecutive home runs to start his career set by Colorado Rockies’ Trevor Story in 2016. 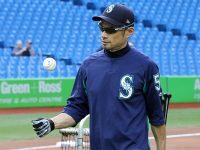 Higashioka started only one game in Toronto and was able to get a single off the first pitch he saw against Jays reliever Luis Santos in the eighth inning as the Yankees won 8-5 on July 7. His strong performance will make it difficult decision for the Yankees when Sanchez returns from the disabled list. 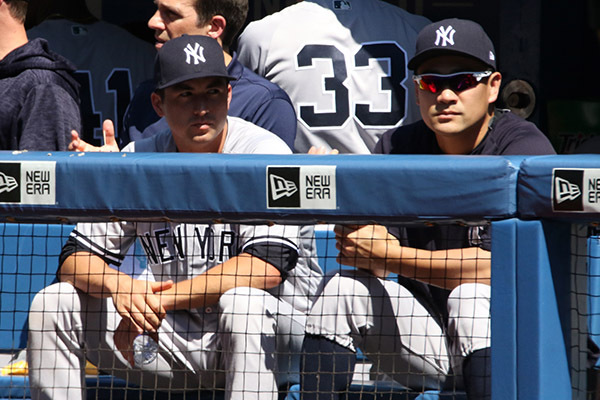 Higashioka has said he is embracing his ancestry and started to learn Japanese last year from language learning software to help connect with his heritage and communicate with teammate and pitcher Masahiro Tanaka. Kyle’s father, Ted, spent several years in Japan as a child while his father, Shigeru, was an oil executive. Shigeru was also a member of the most decorated regiment in the history of American warfare, the Army’s 442nd Infantry which was comprised primarily of Nisei Japanese Americans.